There’s no doubt about it, keeping a home is busy, busy work! And the job is NEVER done. No matter how hard you work, you will never finish all there is to do. As soon as all of the dishes are clean and put away, a new load is ready to be washed. Laundry baskets are bottomless. And toys seem to multiply every time I turn my back. I have finally learned to accept that there just aren’t enough hours in the day to finish the job. But that doesn’t mean you can’t try! One thing that really helps me keep on track of what needs to be done around the home throughout the week is to give myself a schedule of chores and activities to do. At first I tried writing down a list on paper, but I always ended up forgetting about it, or losing the paper in a stack of other stuff on my desk. So, I bought a magnetic calendar board from Amazon (FREE with my Swagbucks!! ), and created my own chore magnets to place on each day of the week. Using a pretty font for fun, I typed out a list of all of the things that needed to be done throughout each day and week, and special projects to be done sometime during the month, and printed them out onto Magnet Paper . I cut them out into strips, and placed them on the board under their proper day. Some of the chores are to be done daily. Some are done once or twice a week. And like I said, some are special projects to be done once a month (like a sewing project or something). I didn’t make a magnet for every single step of my day (no, I don’t have to remind myself to shower… okay, maybe sometimes), but I did make a magnet for breakfast, lunch, and dinner, just to give myself a sort of time-line for the day. The chores that are done daily are moved to the next day once they are completed. For instance, on Monday, everything from breakfast to dinner is listed. As I complete each task, I move that magnet over to the next day. This way I am able to see my accomplishments as they are achieved. It keeps me motivated. And every day I assign a special task to be done. One day I make bread, one day I do my couponing, one day I do freezer cooking, etc. The key to making this method work is to put the board somewhere where you will see it every day, throughout the day! If you hide it behind a door somewhere, you’ll never use it. Some days I still don’t get it all done. If I missed a job for the day, I just move it over to be done the next day. This way by the end of the week, everything should have been accomplished. But not always. Life happens. If I didn’t get the windows washed during the week, I promise, I don’t kick myself about it. If I choose to sit and play a board game with the kids instead of dusting the fans that day, I don’t consider myself a failure as a housewife. When you have small children underfoot, you cannot take housekeeping too seriously. Things are gonna get messy. Just do the best you can to keep a somewhat orderly home, and your family will be blessed by your efforts. And don’t let your “jobs” get in the way of spending quality time with your kids while they are still small. When they are grown, they won’t remember the dirty dishes in the sink, but they are sure to remember the moments when you spent special time with them. So what about you? Do you have a special way you keep your household organized? How do you manage the chaos in your life?? Thank you for the ideas! I have made my own weekly schedule and it seems to be working! hahaaha. It will have to adjust come spring. I will be outside! I totAlly agree with Megan…i would love to see a monthly meal plan of someone’s. I’ve searched the internet but have found none. Only random recipes. Btw…thank u for the website…i love love love it!!! Either a weekly plan or a monthly plan. Maybe I’m just a total nerd but I love that kinda stuff. I think it would be a nice addition to your site. Might even draw in a new bunch of people. You could link it up to other sites like $5 dinners and Orgjunkie. Maybe I’m just weird but I totally think that you should share your menu plans on this site. Hmmmm, like, would you wanna see a weekly plan? I’m also a home schooling mother and have a garden so keeping organized and staying on task sure helps! to keep it clean at all times. then I wrote down how often it needed to be done I typed it up, printed it out, laminated it, and in each room I have a laminated list posted so when I leave each room I can see what I’ve done what I haven’t and what needs to be done it’s kind of like a check list. Of course, there are other things I do like gardening, errands, cooking, baking bread, etc. And we homeschool. But these are the major jobs I get done each week. I also have created what I call my “menu-by-the-month” to make preparing meals easier. I’ve taken my family’s 30 favorite suppers and divided them up into the 4 weeks of the month. Then I just rotate or add new recipes as needed. It makes grocery shopping easier, because I know exactly what to buy and I don’t have to scramble to find ingredients. I cook from scratch, so I pretty much have my recipes in my head. Kendra, thanks for sharing your schedule. 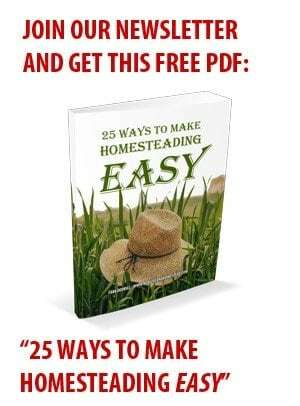 I love learning how other homemakers run their household and get it all done. I love the idea of this board so it’s always there to be seen. Liz, I’m planning on giving you guys a tour of our homeschool room soon, and I’ll include a picture of the weekly lessons chart I use there too!